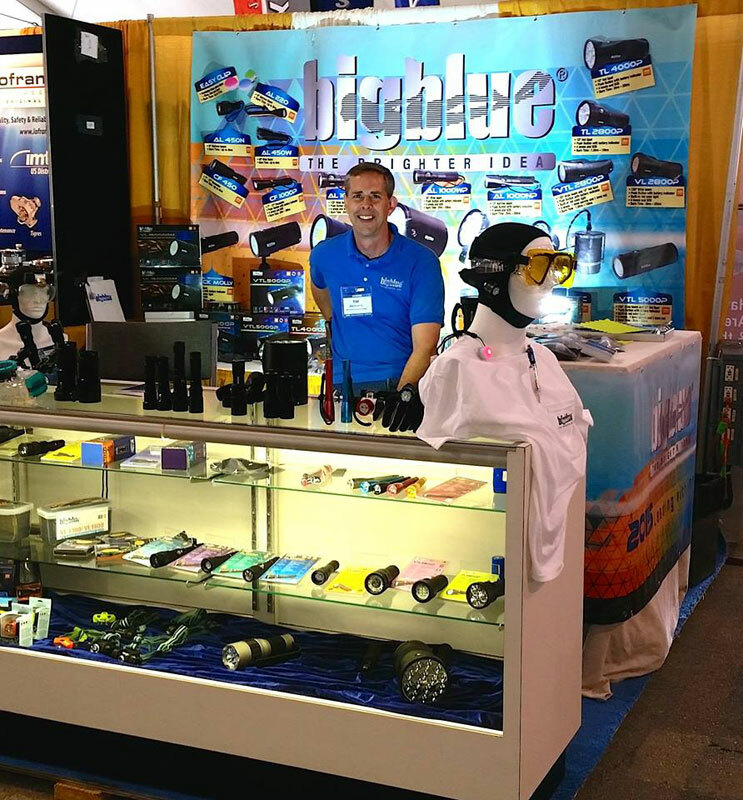 Bigblue Dive Lights entered the dive light market in 2007 introducing their first light models at the DEMA show in Orlando that year. The unique shape, colour and functionality established by those first-year models set the standard for the Bigblue brand. Each year Bigblue has continued to build upon the reputation for innovation, performance, and quality becoming the only dive light manufacturer to aggressively pursue new innovations in recreational lights, technical lighting products, and lights designed for photo and video needs. Utilizing the latest in LED technology, and incorporating creative accessory designs. Browse the BigBlue website. With advanced designs and unprecedented affordability, Bigblue offers the most affordable and technologically advanced LED and HID lights on the market. They incorporate the latest technologies producing the most efficient portable illumination. In addition to brilliant design features, they offer the most ideal lights for underwater illumination, night diving and even video lighting. Whether you are looking for a simple recreational dive light or a full-blown technical underwater illumination system – Bigblue has a light for you! Bigblue is sold through dealers carefully selected to match our corporate mission of providing high quality products backed by professional customer service. Bigblue is now a recognized brand that divers all over the world prefer. Today they distribute their products globally and have a broad client base including many satisfied customers on all continents. At Atlantic Scuba we stock a small range that can show you the quality and effectiveness of Bigblue lights. Most of the range can be ordered in at short notice. Atlantic Scuba dive school, Cornwall’s only Big Blue stockist, South West UK.